Seems like I haven't been on the Wii homepage for a while. 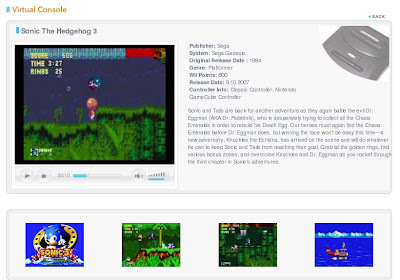 I was pleasantly surprised to see that they have video previews for all their Virtual Console titles. It would be cool to have a list of just Genesis games, or NES games, just an option to sort per console, or date, or price, etc. instead of one big list. Maybe there is a way, but I haven't seen it.